To our production schedule belongs production of revision doors, too. Access panels serve as an effective solution for covering the service and other openings in plasterboard walls that must be continuously available. The advantage of this door is the integrity of plasterboard walls. Delivery is available in sizes from 200 x 200 to 1000 x 2500 mm (W x H). The inspection doors are available in aluminum frame and with or without gypsum board. The frames are welded of aluminum profiles in special equipment. From the size of 300x300, the doors are provided with a safety cable that by the opening prevents an injury. The doors are equipped with two or more locks that open by the pressure on the doors. 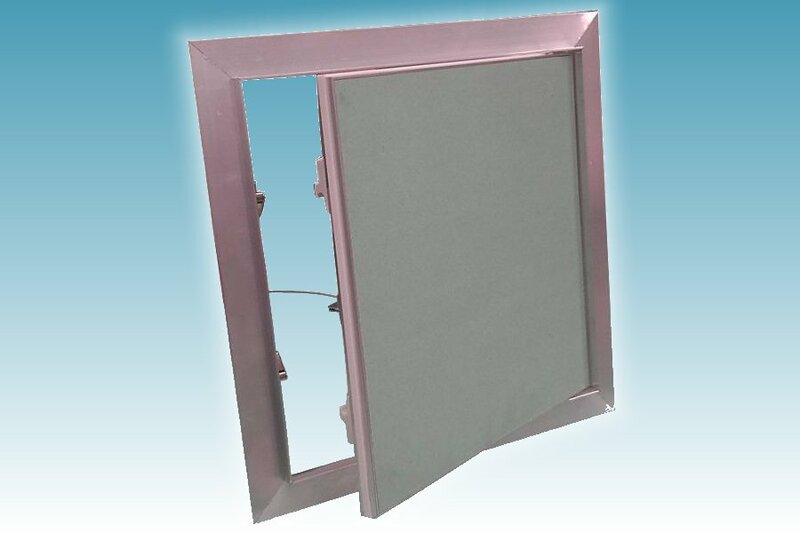 The access panels are suitable for plasterboard walls and ceiling. Standard dimensions available of 300 x 300 to 600 x 600mm. Suitable for wall thickness 12.5mm / 15mm / 25mm. Version also available for solid walls.